It is the only clinic in the UK to offer the much talked about Alba 355 UVA1 laser for Psoriasis and Eczema, the only clinic in wales to offer the Lipofirm Med which is the most advanced non-surgical facial and body platform for inch loss, body contouring cellulite, dermal volumination and skin resurfacing, and revolutionary hair removal carried out by the world’s most powerful Alexandrite and Nd:YAG laser. We offer our patients the safest, most advanced and effective non-surgical medical and aesthetic treatments ensuring the highest ethical standards are maintained. All consultations and treatments are carried out by some of the industry’s most experienced practitioners. Our caring approach together with a warm welcome throughout the clinic will give you the reassurance that customer service is paramount to everything we do. The ME Clinic was founded by its sister company Advanced Esthetics Solutions, one of the most respected distributors of medical and aesthetics technology – installing, supporting and educating Clinics, beauty salons and spa’s throughout the UK and Ireland. 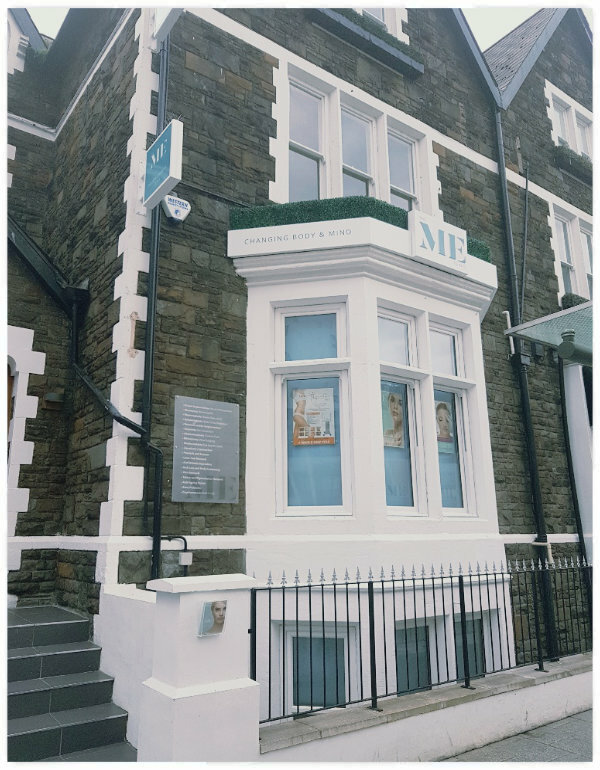 Utilising its knowledge and its cutting edge equipment the new 5000sq ft. clinic in the heart of Cardiff City centre offers the most advanced, unrivalled treatments available today. Unlike other clinics where they have to invest in equipment at full price, The ME Clinic’s relationship with its sister company means that its cost is considerably lower which in turn means it can be more competitive with its treatment prices, this together with its interest free payment scheme means all our treatments are extremely affordable. Are all the treatments safe? The clinic has only invested in medical certified devices which means every device has clinical white papers and peer reviews proving the treatment is both safe and effective. This coupled with the clinic being registered with the Healthcare Inspectorate of Wales will give you total confidence that your best interest will always be our ultimate priority.